We are thrilled to have launched a much improved Job Board for Saltchuk that makes their job openings shine. Saltchuk is the logistical giant that operates throughout Alaska and Lower 48 with its set of companies: Foss, TOTE, Northern Aviation Services, Tropical Shipping, and NorthStar Energy. 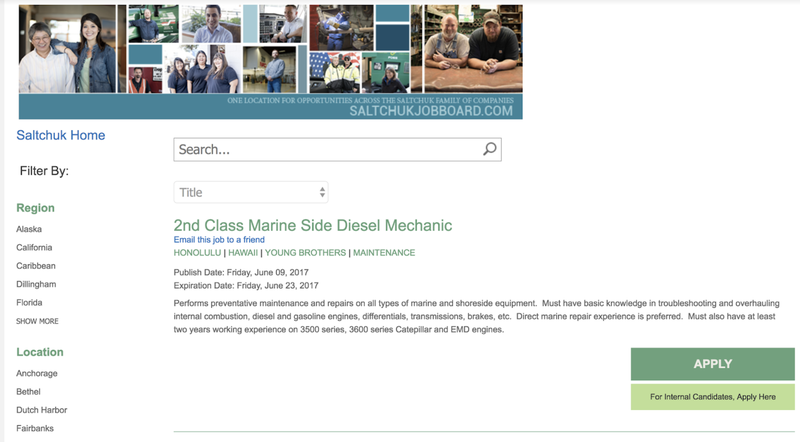 Saltchuk was seeking to provide more value to the Saltchuk family of businesses by increasing the effectiveness of their Job Board. They needed to improve their online visibility and increase the number of applicants to their open positions. When Saltchuk reached out to SWS for help, they were using a directory built in Sharepoint that had limited SEO capabilities, was not integrated into the main website in a meaningful way, and lacked the elegance and user-friendliness of a tool designed specifically for jobs management. We provided a beautiful new board that not only reflects their professionalism and brand, but it also integrates into their main site and that performs well in search engine results. We utilized WordPress Job Manager for the core framework, making many customizations to the functionality and user interface to enable it to filter more than 80 jobs by Region, Location, Job Title, Company, etc. 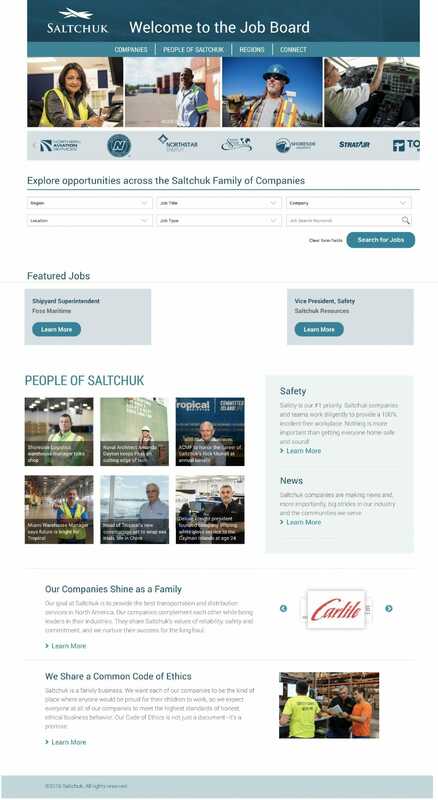 From the user experience standpoint, the site had to be accessible and intuitive enough for the Saltchuk’s various recruiters to easily post and manage their jobs via a simplified front-end interface. The site is also fully mobile-responsive for job seekers and has many SEO features added so that jobs listings appear in Google job results, which is essential for increasing visibility. Another win for Web Design helping a business reach its goals! Want to learn how to make Google love you? Want to get higher ranks? We can help!